Turn heads with this textured statement cuff! 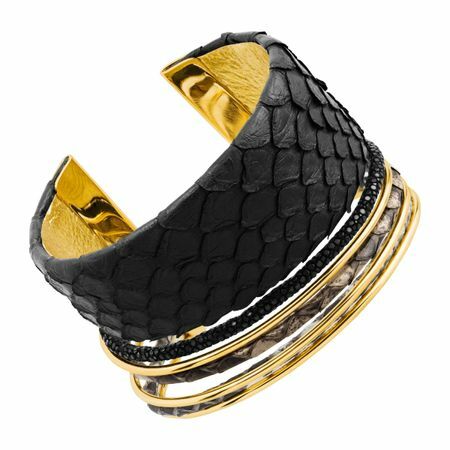 This multi-band bangle is crafted in genuine black and tan stingray and python leathers and accented with 18K gold-plated brass caps and bars in between. Piece measures 7 1/4 by 1 7/8 inches.